Mariya and Shizu are still meeting now and then to compare everything competitively – from schoolwork to health examination reports, in their fight to one-up the other. 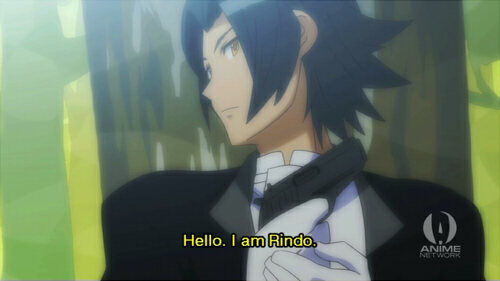 It’s also revealed that Matsurika and Rindo are, indeed, also twins. For reasons initially undisclosed, Mariya decides to stay at the Shidou mansion instead of the Ame no Kisaki dorm with Kanako, with Shizu taking her place. It was said that this was because it was the swimming meet for the Mihoshi no Mori boys school and, as Shizu did for Mariya in the last season, Mariya must pretend to be Shizu so her real gender isnt revealed. 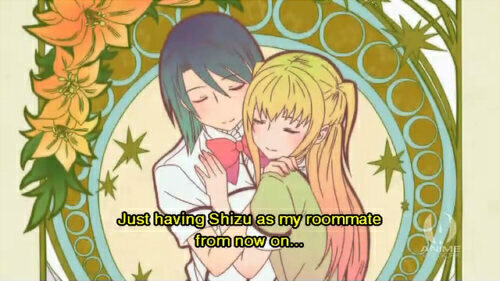 Kanako gets waaaaay too happy about the prospect of being Shizu’s room-mate for ever, and realizes that if something prevents Mariya from coming back, Shizu won’t have to leave. So, she sets off on a brave mission to Mihoshi no Mori to try to sabotage the swim-meet. 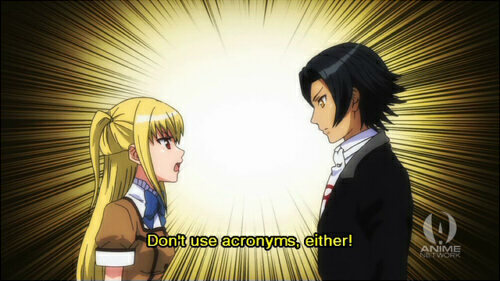 waa waa Rindo's so awesome. 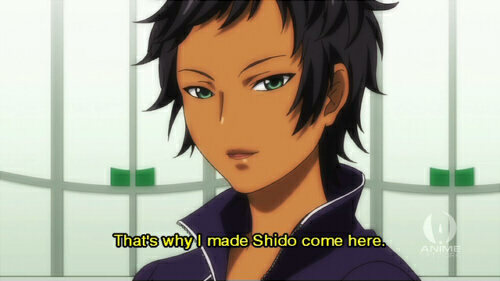 SHAFT sure love their Gu*dams. I thought it was pretty lol to bring this character back, personally. And speaking of little things brought back from season 1, I couldn’t help laughing at the (in a dream, no less) reference to ‘that pendant!’ again. I know what the pendant means is probably never going to be resolved but I think it’d still be funny if they keep bringing it up nonetheless. In all this was a decent episode…nothing to write to your Mother in Heaven about but still fun. 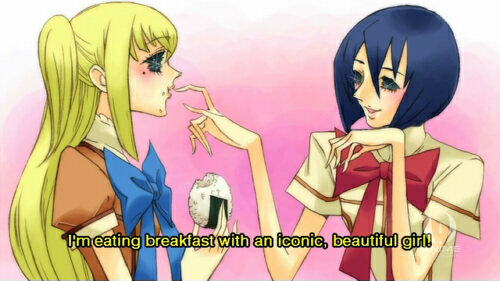 So I guess Shizu does have to wear a wig then. 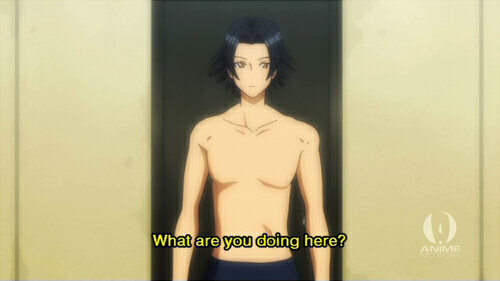 ...but does Mariya, considering he'd have to have short hair to go undercover at the Boy's School? 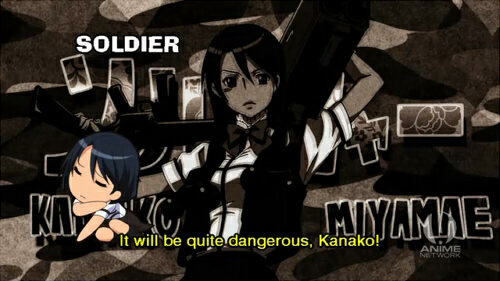 Kanako is able to look surprisingly badass. Kanae you better step up or Rindo's going to overtake you as my favourite character. The Gu*dam thing is so they won’t get busted for copyright. OH THOSE FINGERS ARE LIKE SPIDERS. THEY SCARE ME. SO MUCH. 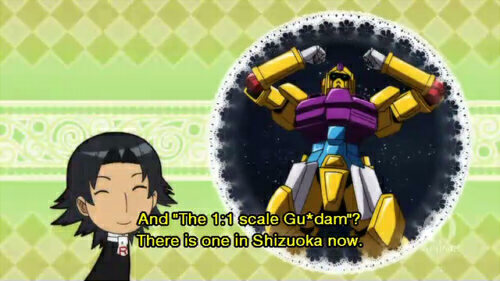 I know why it has the asterisk… the statement was a joke because Gundams (or rather Gu*dams) pop up in a lot of SHAFT anime (and non-SHAFT anime too).